Product details: ultra high performance thermoplastic material, 20% glass fiber reinforced in polyether ketone, semi crystalline granules suitable for injection molding, easy flow, dark beige in color. Application areas: suitable for high temperature applications, where higher strength in load bearing application. 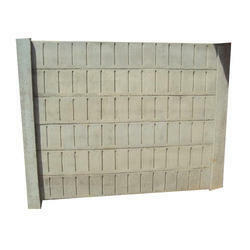 We are leading manufacturer and supplier of RCC Compound Wall and our product is made up of good quality.